Wood can be treated to prevent rot, but moisture can always seep in through the most unnoticeable cracks.Your wood may be rotting on the inside and not show damage until it’s too late. Rot is a huge enemy of wood fences. Wood can be treated to prevent rot, but moisture can always seep in through the most unnoticeable cracks. It’s possible that your wood may be rotting on the inside, while the outside doesn’t show the damage until it’s too late. Replacing a fence can get costly, especially when you’re able to prevent the rot in the first place. If you’re wondering how you can prevent wood rot in your fence, read on. Don’t install your fence anywhere where there is a lot of moisture and little sunlight. 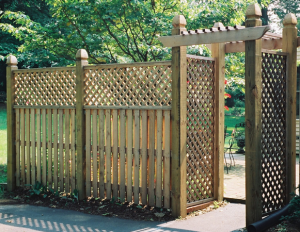 A dense forest with little to no sunlight is probably not the best place for a wooden fence; consider a vinyl fence, instead, and you can choose a design that looks like wood if you so desire. Without being allowed to dry, wood fences can rot in no time. Using sealants can make a huge difference, and when regularly applied, they can keep moisture out for long periods of time. Sealants can be found at any hardware store, usually for under $20 a gallon. You could also use some varnishes, which act as sealants and keep your wooden fence looking fresh. You should seal your fence about once a year, to be safe, because moisture can take hold quickly after there is the slightest imperfection in your sealing job. Any kind of living plant should be kept far away from fences. Living organisms can cause mold growth, even if your fence is sealed. It also looks much better if your fences are free of clutter and surrounding foliage. If you must have living plants around your fence, you should consider installing a vinyl fence, instead. 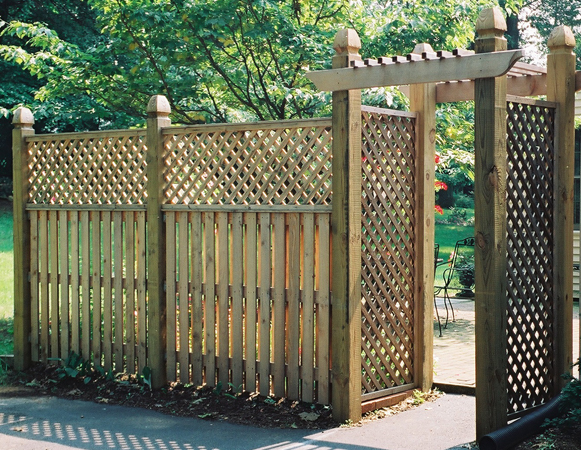 These fences are not as susceptible to mold, and will hold up against the elements quite well. Need a fence? Mid-Atlantic Deck & Fence has you covered.